I don’t hold any illusions that things have gotten any better for artists in the years since I wrote about music. Taylor Swift recently got a lot of attention for boycotting Apple’s new music streaming service when she found out it wasn’t going to pay artists during its first three months of operation. Good for her for speaking up – but there’s many, many other creative people who get ripped off and who don’t have the public profile or commercial power to demand fair treatment. Here’s two examples I recently encountered. 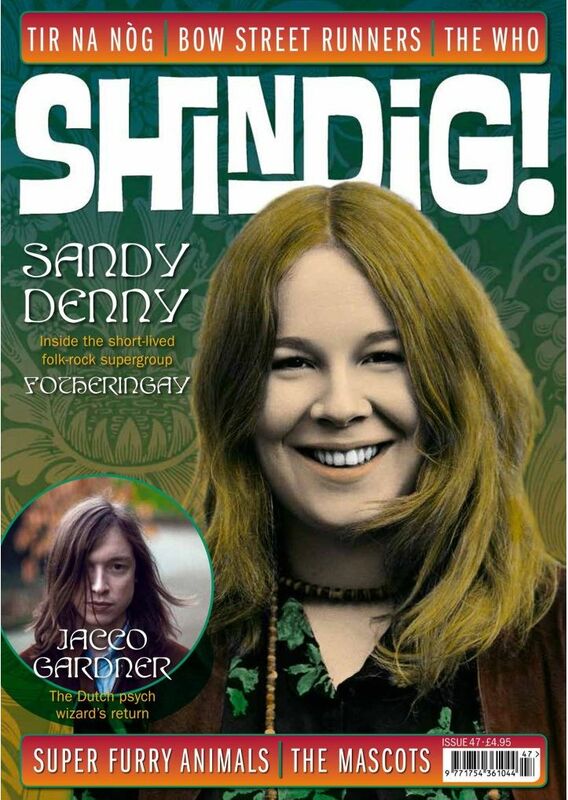 Shindig is an excellent UK music magazine, focusing on semi-obscure (sometimes very obscure) bands from the 1960s and 1970s, as well as contemporary independent bands. In 2007, its founders, Jon “Mojo” Mills and Andy Morten, joined forces with a company called Volcano Publishing. Under their informal deal, Volcano managed the magazine’s business dealings and its distribution, while Mills and Morten were in charge of the editorial side of the magazine’s operations. But as time went on, things started to go bad between the two parties; earlier this year, Volcano fired Morten and Mills, and then rehired them as freelancers. 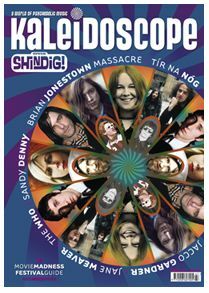 And not too long after that, Shindig’s subscribers – including myself – were puzzled to suddenly receive in the mail a magazine called Kaleidoscope incorporating Shindig. What the cover of Shindig #47 was supposed to look like…. …and what Shindig’s subscribers received instead. As described in this story, Morten and Mills had prepared a new issue of Shindig and had gone on vacation – and while they were away, Volcano took their editorial content, rebranded it, and launched an entirely new magazine. Guitarist Bill Nelson first achieved musical success as the leader of the 1970s band Be Bop Deluxe, which was signed to a subsidiary of EMI Records. After the band released its first record, the membership of the band completely changed except for Nelson. As detailed in this post from 2002, several years after Be Bop Deluxe broke up, Nelson started to wonder why he wasn’t getting royalty payments from EMI. He inquired and was told that the band’s records hadn’t made enough money to repay the advances the band had received. And he was told this even as the record company continued to re-release the band’s songs in compilations and as part of box sets. After further enquiries by Nelson and his management, EMI claimed that it had indeed paid royalties from all of the band’s six albums….to the members of the first version of the band, who were only involved with the band’s first album. The musicians that worked on five of the band’s six albums had received nothing. EMI further claimed that it had not been able to locate Nelson to pay him his share of those royalties, despite his being the only member of the band to have a successful solo career. Then, when challenged, EMI claimed it had actually been paying royalties to the company set up as the band’s contractual agent. It then asserted that since that company no longer existed, it was not obliged to pay any more royalties. It did, however, offer to pay Nelson any future Be Bop Deluxe royalties, although it didn’t offer to reimburse him for the wrongly paid royalties. These two examples aren’t stories of musicians and writers being willfully naive, or of not being vigilant about business affairs – these things just happened. And anyone in a creative or artistic job, or thinking of getting into one, needs to know that this is how badly they might end up being treated. You are absolutely right. The music business has always been rather murky in its dealings, helped along by young and naive musicians and a bevy of managers and lawyers who took cuts and didn’t always managed their artists’ affairs. I worked for large record companies for 15 years and the only disclaimer I can offer, at least in the days of pre-digital content, is that it was extremely costly to make an artist successful. Most didn’t make it, they didn’t even break even and, for every success story, there were dozens who were signed, on whom money was spent on, way beyond what could have possibly been recouped, for whom nothing ever happened. For many years, some labels did stick by artists they believed in as it is ridiculous to think an artist would be successful on his/her first try – hence the need for A&R depts. Then it all became throwing music to the wall to see what stuck. At least, digital content has given a measure of control to artists who are not bound by multi-album contracts any longer. What I also saw contributing to that “throw it to the wall” mentality was record companies being acquired by larger non-entertainment companies – e.g. multi-national corporations and investment funds – that had very different expectations of productivity and profitability. So record companies were forced to meet performance goals that were more appropriate to manufacturing or service companies. And those increased demands took out whatever room there was to support an artist until they became successful, or to support an artist to the point where a reasoned decision could be made about what returns there would be on future investment. A few years ago I saw an interview with Reba McEntire in which she said that her record company supported her through seven albums until she had her first big hit. And she said even though her career since then has made more than enough money to pay back that support, a record company now would never sustain an artist for that long. And she thought that was a real shame, because so many artists that could produce successful work would never have the chance to get to that point. Very true. I went through three mergers in my career. I survived them all but at what cost? I finished with Interscope that, mercifully, was one of the few labels left that really cared about the music and didn’t mind developing their artists slowly. The examples you provide are outrageous, Fiona, and sad proof of how predatory the music industry can be. But they’re also a valuable reminder to the rest of us to ask questions — lots of questions — before signing a contract. Thank you for that. Even bands like Blondie got caught out. For the predators, it seems to be as much about triumph by destruction as the money. Perhaps jealousy and ego play their part too.